The Drug Shortage App – Saves lives. Saves time. Saves money. Hospital pharmacies are constantly scrambling to manage the drug shortage of the day, and it’s a different problem every day. Getting the right information at the right time to make decisions is difficult. The Drug Shortage App from LogicStream Health™ provides pharmacists working on managing drug shortages visibility into ordering, prescribing and dispensing practices of medications in short supply. 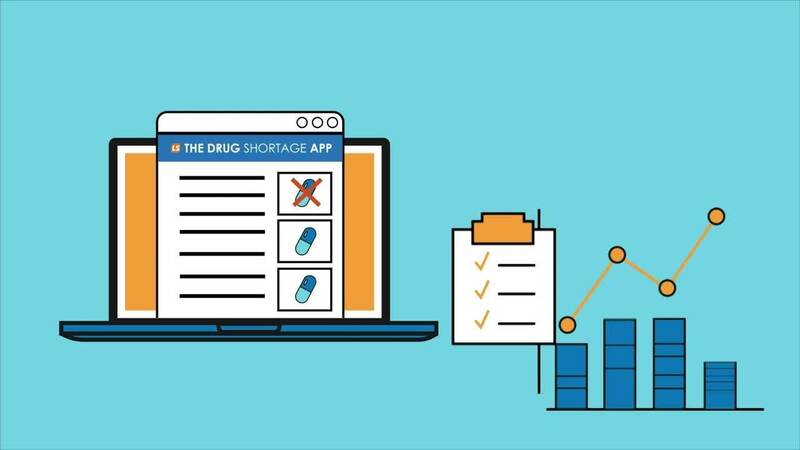 The Drug Shortage App helps hospital pharmacy teams with an easy-to-use, web-based solution that manages drug shortages and minimizes disruption to patient care. Hundreds of hospitals use LogicStream Health’s Pharmacy Process Improvement and Control enterprise software platform to save millions of dollars caused by drug shortages and unnecessary drug spend. Now hospital pharmacy teams can get the power of our clinical process improvement and control platform in a simple, easy-to-use app to save lives, save time and save money. Want more information? Download our overview of The Drug Shortage App. The drug shortage story is not unique. Learn more about how health systems are driving standardization and quality care with Medication Management Software Solutions and with Clinical Process Improvement and Control software from LogicStream Health.